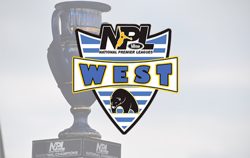 The NPL West, entering its second season in Southern California, is expanding to include 11-U and 12-U age groups in Fall 2019. These divisions represent the outgoing U.S. Soccer Development Academy age groups, as the NPL West member clubs are Development Academy standouts. These nationally recognized clubs have created a formidable NPL in the southern half of the state, now featuring 11-U through 17-U boys divisions that play NPL schedules and qualify to the ENPL postseason.